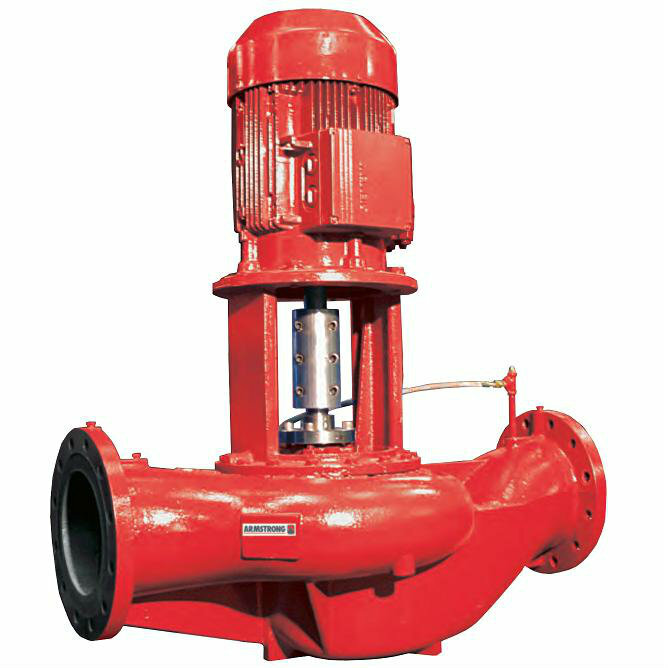 Starline Vertical In-Line Pump Armstrong Industrial Pump Selangor, Malaysia, Kuala Lumpur (KL), Rawang Supplier, Supplies, Keylargo Industrial Sdn. Bhd. Armstrong’s innovative 4300 vertical in-line pump realizes 60% savings in space compared to base-mounted pumps. The split-coupled design allows for the replacement of the mechanical seal without costly removal of the motor or pump from the piping. The high-performance outside-type mechanical seal combines advantages of multiple-spring balanced seal with premium quality, while the inside-type mechanical seal provides an economical alternative.